Any entrepreneur focuses on three main things when starting up: building a customer base that is loyal, increasing sales, and improving business efficiency. You’re willing to work long hours as you invest your resources in the visions you harbor. You aim to achieve your dreams as you look for various ways to improve your business. To achieve all this, you research market trends and develop a strategic plan about how to run your business as an upcoming entrepreneur. But most important, for your small business to make a breakthrough in any industry, you need customer loyalty. One of the ways to accomplish this is a loyalty program that is mobile based. For a new or existing entrepreneur, a mobile app is one of the ways to create a wider market and be able to understand the availability of customers and ways for more effective engagement with customers. Mobile app development agencies like Reinvently can help you create a mobile app for your business needs. They develop mobile applications for reinventing any business, but especially SMEs. Using an agency will give your business an app development cost that is affordable and yield the best results. Almost every mobile app includes different loyalty programs. The programs are designed to ensure that clients will come back often to your business and probably spend more on your products when they do come back. There are several ways to use rewards. They include use of tiered levels, where the clients are given incentives to move up different levels and those at the top level get additional perks. Gamification can also be used. That’s where clients who win are given awards and can be rewarded for actions that are pre-defined, such as when they share notifications or even images of your business. Some of the features on mobile apps include shopping carts and employee scheduling, which give employers the ability to run key functions for the digital footprints found in the application. For example, if your business is a restaurant that has a system for food ordering built in to the mobile application, there will be an increase in the in-app and online purchasing. A small retail business that has an e-commerce system is integrated. An e-commerce platform will boost sales revenue and increase business efficiency. Likewise, scheduling software assists in more productive employee engagement by letting employees receive schedule notifications. Any small, upcoming business must focus on building a customer base that is loyal. All business depends on the customers. Every successful company has prioritized loyalty and the making of brand ambassadors. A mobile phone app is one of the ways for optimum engagement with customers. Using push notifications will create higher open rates compared to emails. Mobile apps are among the best ways for connecting with your clients, whether existing or new. You can create a referral program where customers are encouraged to refer other people to your business. This will make your business viral. Mobile applications platforms have DIY features for small enterprises, leading to more customer engagement. The apps can be used for getting feedback and views from clients on what should be different or how they liked their experience purchasing from you. An application will provide general information on features such as booking forms and prices, news feeds, messengers and user accounts. All information that customers would need is easily found on the application. Push notifications ensure direct client interaction and they remind clients of the services and products provided by your business. Mobile apps contribute to brand awareness. An app is like a billboard sign that’s blank—it can be whatever you envision. Your app should be functional and stylish, and have features that clients like. Increased client involvement with the application means clients will be more inclined to purchase a product from you. It’s known as effective frequency in the advertising business. This is true brand recognition. As a small business owner, you should create an app for your business. It will enable you to interact with your clients at any particular time and clients can always have access to you. 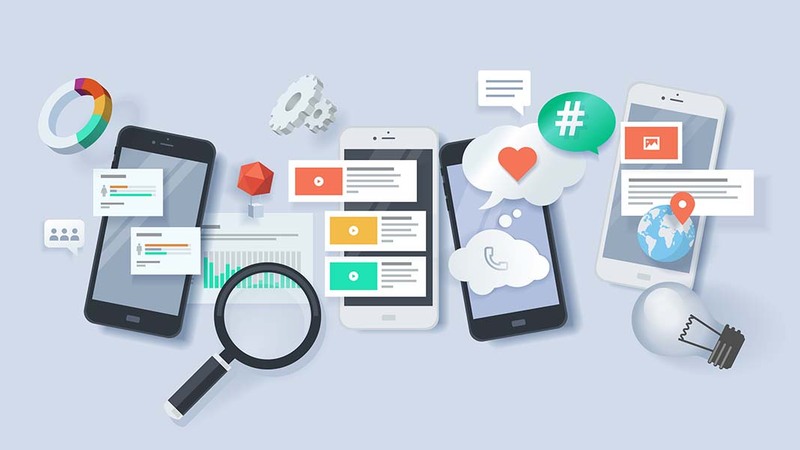 In addition, incorporating a messaging feature in a mobile application would ensure confidential communication and will make your brand unique among competitors.